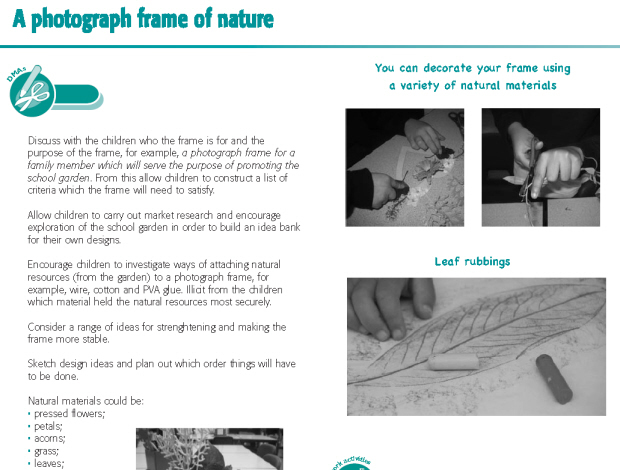 In this unit, children design and make a photograph frame, to give to a family member, which is suitable for promoting the school’s garden. Schools without a school garden can adapt the purpose of the unit by making use of their local open areas, for example parks and woodlands. Through this creative and innovative unit children become increasingly aware of the natural environment and how it can be used as a tool for design inspiration. 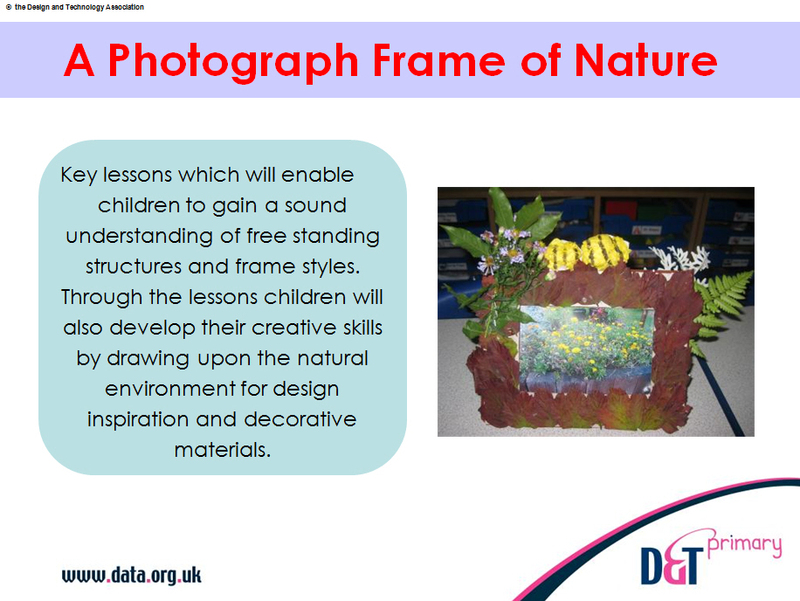 Children also gain an opportunity to develop their knowledge of the natural world and how such materials can be used in the construction and decoration of a photograph frame. 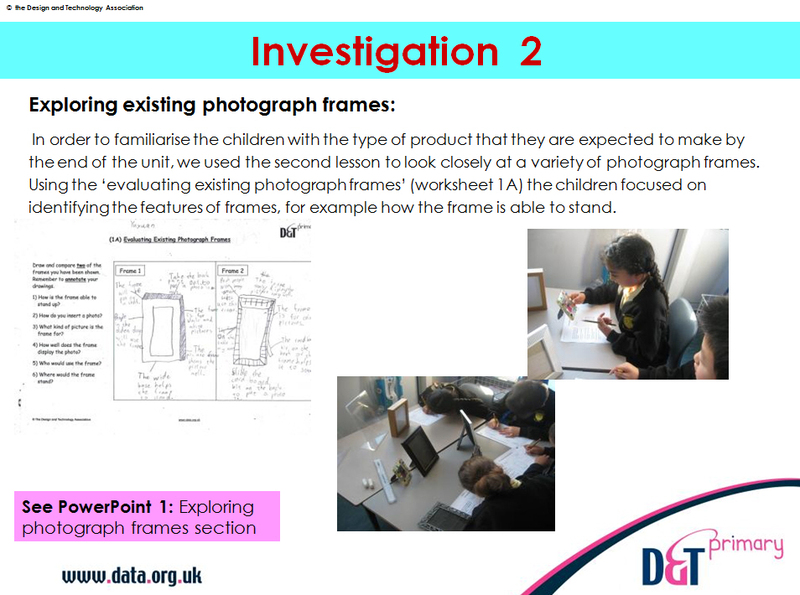 The resource includes two PowerPoint presentations: a step by step guide to the project for teachers and one for children that covers free standing structures, exploring and evaluating existing frames, and techniques for stiffening paper, etc. Also included are six worksheets, a unit of work and a helpsheet.